Hi, I am Aditya! 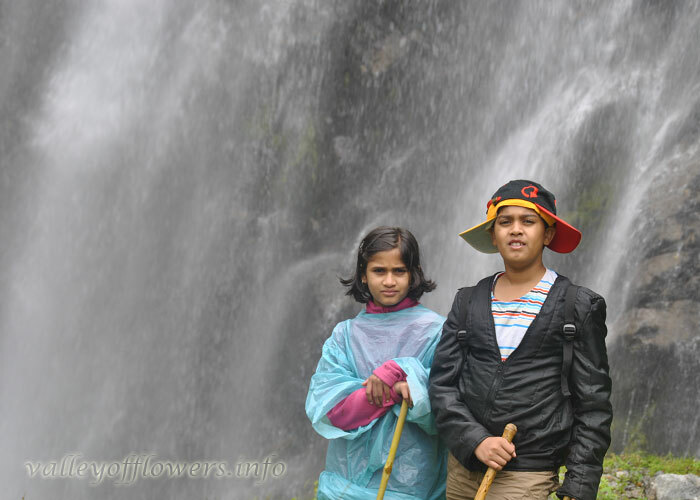 (Aged 12) let me tell you how my trek plan started to Valley of Flowers Trek. My father and some of his friends were ready to go for the trek. But suddenly everyone cancelled. My father was not happy that he was going alone. One day my mom and my dad sat in the night and were discussing about should he go or not as he was alone. My mom suggested an idea to take me also to the trek. The very next day my dad asked Devkant uncle if I could also accompany him. The reply was yes!!! I was very happy to listen that. The same day I asked my father if we could take my sister too (aged 10). My father again asked Devkant uncle and guesses what would have been the reply? It was yes!!!! 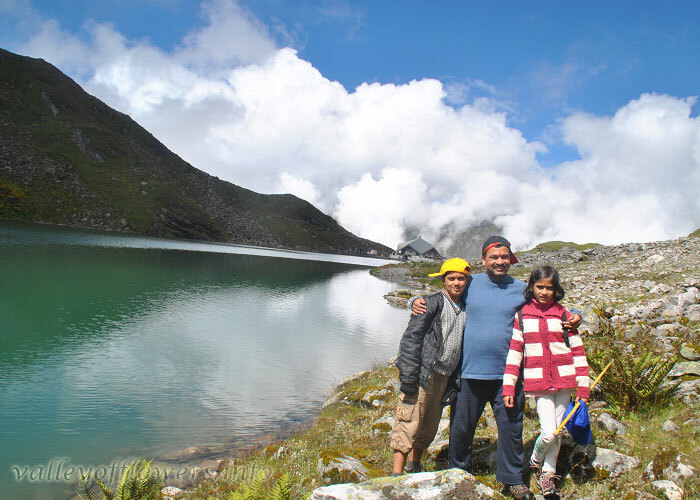 My sister and I were dancing around the whole house.That day we went to the shop to purchase the requirements for the trek with my father’s friend who is excellent at trekking, Bharath Uncle. We bought many things there and even a new football. The next day it was Sunday, at morning 9:30pm my sister, my dad and myself started packing our bags. We took our clothes, arranged them in pair and rolled them. This occupied less space, so we could get some gifts for our family. After a week it was time for us to leave the house and arrive at Bangalore international airport. It was the first experience for my sister and me in the Aeroplane. We arrived at Dehradun and from there we went to Haridwar. The same day evening we went for the Ganga Aarti. The next day in the early morning at five we were ready to leave for Govindghat. There were two foreigners who accompanied us. One of them was from Portugal, he was Mr. Rui and the other one was from Ireland, he was Mr. Edward. Edward was very tall, he was around 6.7 feet. At 8am we stopped at hotel called Shiva where we had our breakfast.There we saw an Australian talk very good Hindi. After an hour’s interval we reached at Devprayag. There we saw a village which was very beautiful. The place where two rivers join is called Prayag. Here we could see the color difference of the water very clearly. Then we headed towards a temple where we had to climb steps to reach it. Many kids were playing there, seeing the tall man; they started shouting ‘lambu’. The tall man did not understand what they were shouting, but he was still smiling. Then they started discussing his height, some said he was 2 meter, some said he was 10feet and some were like 10 meters. Then after few hours we saw Rudraprayag. At 1pm we stopped at a hotel called Krishna were we again meet the Australian. She sat with us to have lunch. After the lunch when we went out, we saw some fellows riding the cycle. We had seen them almost 3 hours ago. Then we again started our journey to Govindghat. After few hours my sister and I had started a game to play where in the turning one should go and squeeze the other and it was very interesting. Then after an hour we had reached at Vishnu Prayag. Here it started raining suddenly, but still we were able to see the spot. At this spot we saw many huge rocks which are believed to have flowed when it flooded. At 5:30 we arrived at Govindghat. There we rested for half an hour and then had some snacks. Then we called our home and said we reached Govindghat safely. The next day morning we started our trekking. At first we saw some places which was destroyed by the flood. At 12 we stopped at a stall and had our lunch and again started our trek. 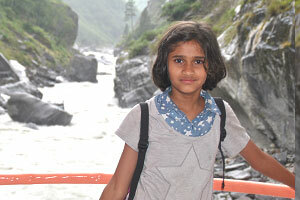 My sister and I got went to the Alaknanda River. We could stand in the water for only 10 to 15 seconds as the water was ice cold. 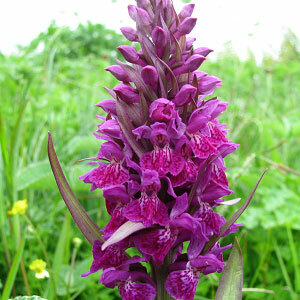 At 3pm we had to stop at another stall due to rain. At around 5pm we were at Ghangaria. The same night we called our family at a rate of 10 rupees per minute at a particular point. The next we left for Valley of Flowers. 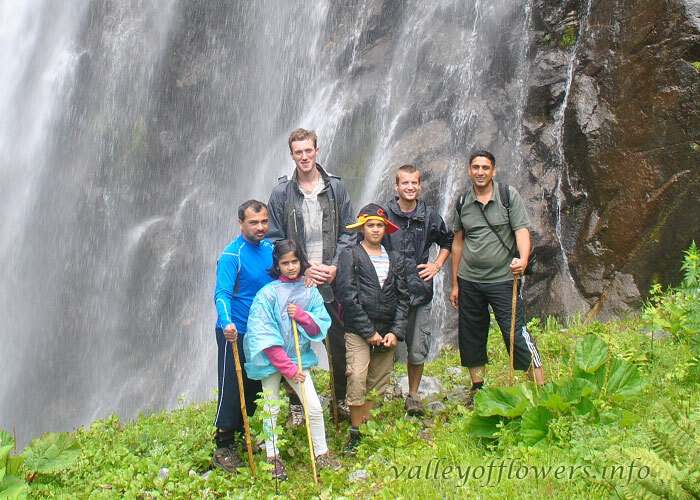 First we went to a spot which was opposite the Valley of Flowers and contained many beautiful flowers and even a falls was situated. 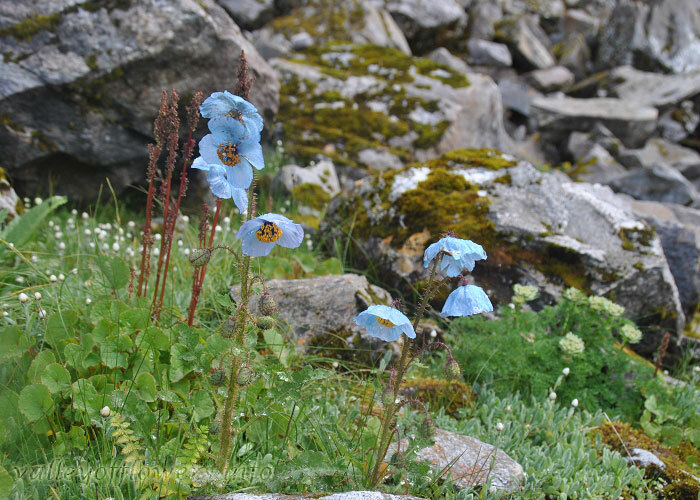 Next we went to Valley of Flowers which had not many flowers due the last year’s destruction. We could see the first 1 and a half km. The main valley we could not visit because the road was cut. 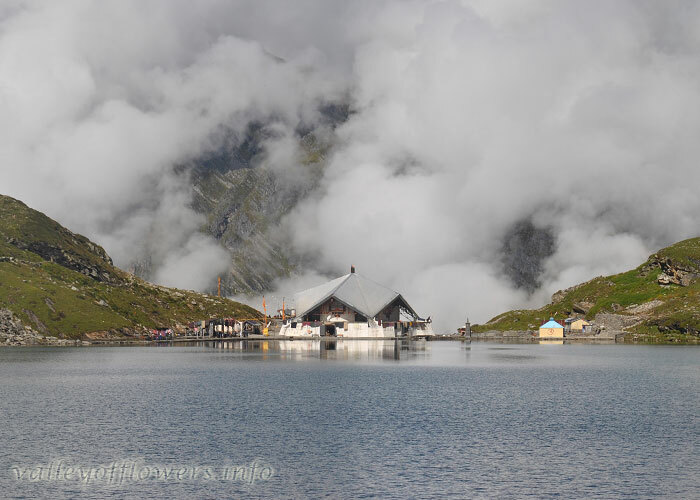 The next day at 6am we left for Hemkund Sahib. At 8am we had our breakfast. 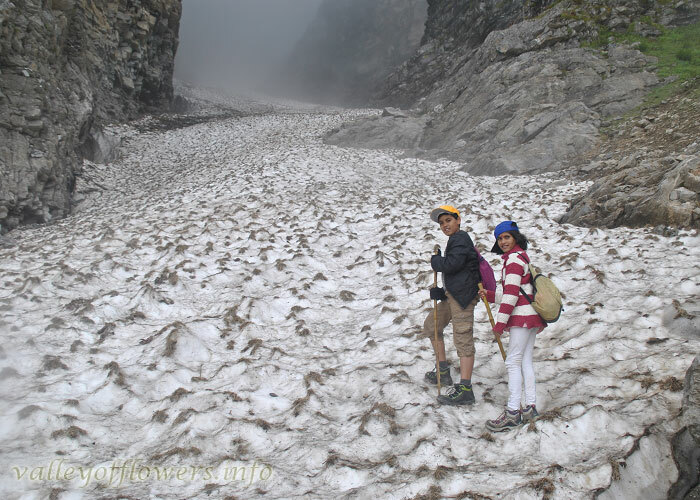 We reached Hemkund sahib at 10am. There we spent 4 hours. 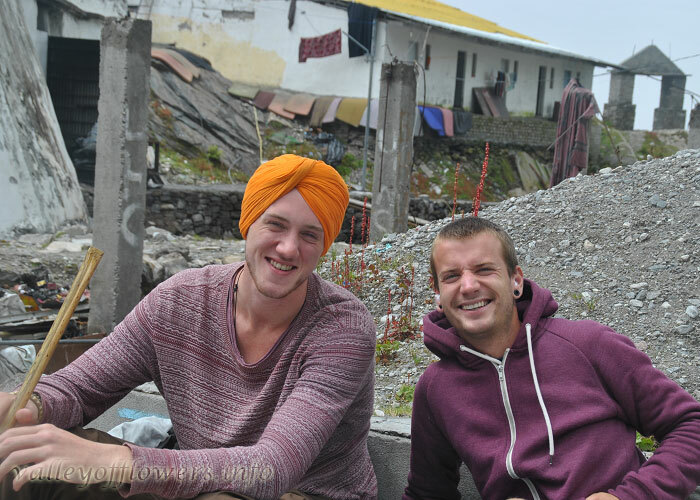 We visited the Laxman temple and the Gurudwara. 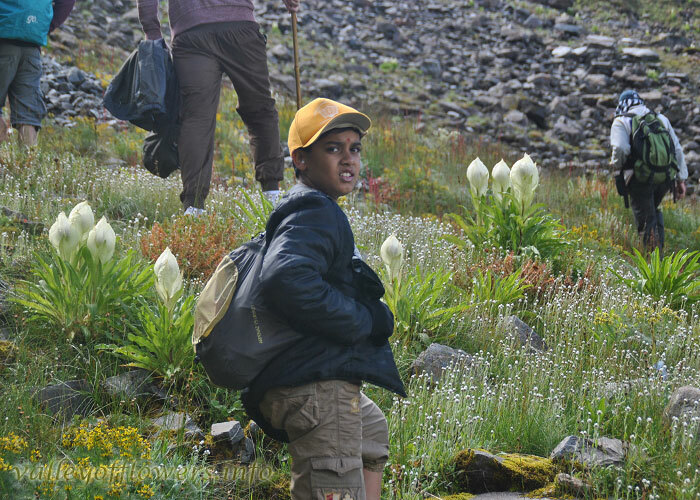 We even found some unique flowers like Brahma Kamal and the rarest flower Vishnu Kamal. We had the khir(langar) which they make there. It was really awesome. At 5:30pm we were back at Ghangaria. The next day we started our journey to Govindghat. At 12 pm we had our lunch at the same spot, while trekking to Ghangaria. At 2;30 we reached Govindghat. 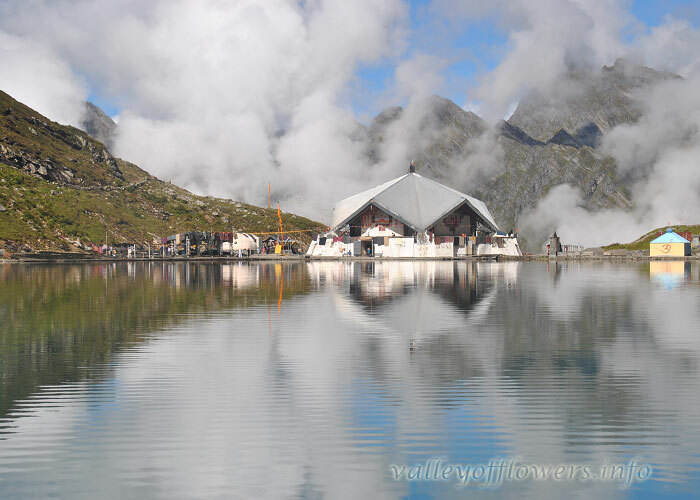 We took some rest and went to mana village which is the last village of India and Badrinath. This was not a part of our trek. At Mana village we saw the starting point of the Saraswati River and a bridge made by Bheem so that Draupadi could cross the river to reach the heaven. Then we visited the Badrinath temple. After visiting we had to cross through a land slide area. Luckily nothing happened to us because the driver was well experienced. The next day we left for Haridwar. After half an hour we were stuck due to land slide. We waited there for 5 hours and then it was cleared by a jcb. In the evening at around at 4 we actually faced another land slide, but this just took 10 minutes. Night at 8pm we reached at Haridwar. The next day we went to Rishikesh. There we visited Vashistha Gufa. My grandfather had gone to this spot. It was his wish that we should also gathered and come, so we went. 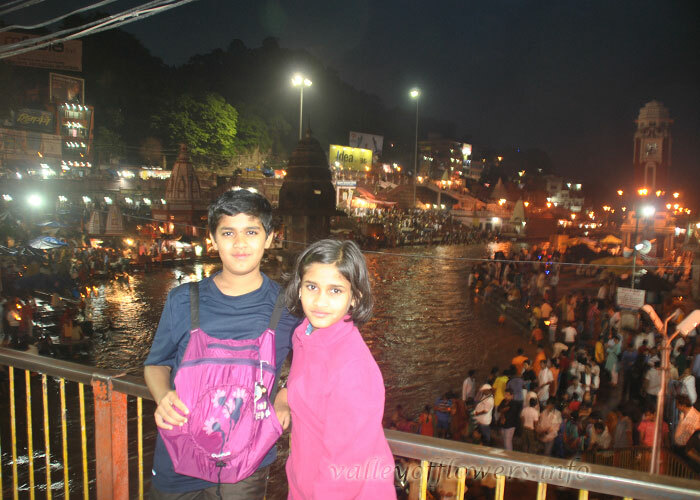 After that we went to Ram Jhula and Laxman Jhula. There the temple we had to climb a winding steps to reach the top. 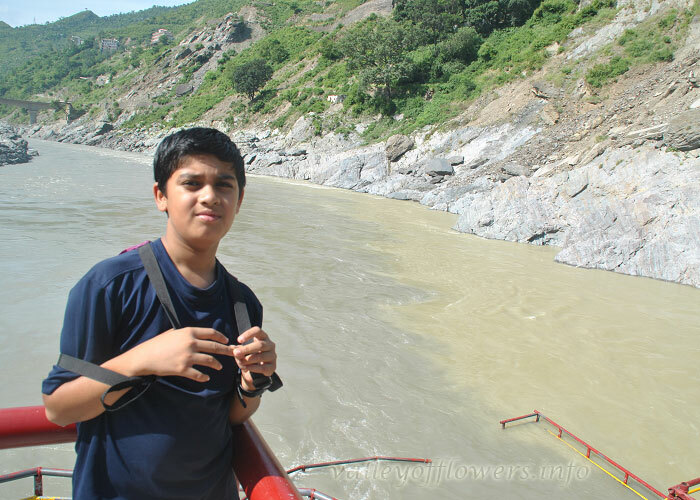 Then we came back to Haridwar. My father went to Ganga snan at 6pm that day. The next day at 11am we were at the Dehradun airport ready for our departure. At 4pm we reached Bangalore. After returning at our house my family members gave us a surprise. This was my greatest trip ever!!!!!!!!!! After a few days I wished that I could stay there for lifetime. I still miss the hills. Hope you all you all to experience this once!!!!! !